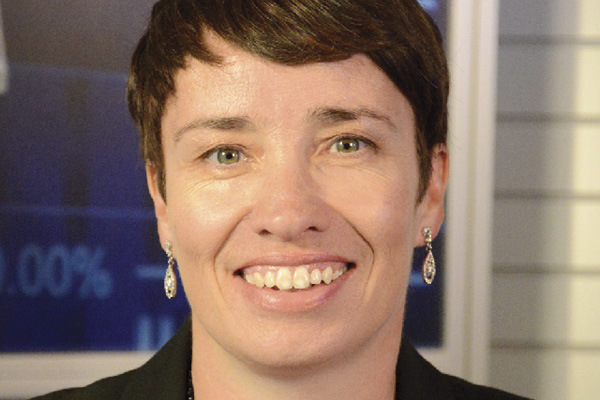 Joanne Wright is IBM's vice president of supply chain. She has held this position since 2013. Responsibilities: Strategy, execution, and business results for IBM's manufacturing, engineering, procurement, logistics, fulfillment, and client solutions across more than 170 countries. Leveraging big data, analytics, and social media to create a world-class supply network. Experience: Numerous senior leadership positions across supply chain in procurement, client fulfillment, manufacturing, and enterprise transformation within IBM. Education: Bachelor of Arts in business and marketing, Glasgow Caledonian University, Scotland, 1991. Diploma, procurement management, Strathclyde University, Scotland, 1994. As a supply chain team, we've decided to take the wonderful capabilities of Watson, IBM's cognitive technology, and the cloud platform to find how we can predict demand upsides and downsides faster and more accurately. For instance, we linked The Weather Company with Watson's capabilities, turning data into insight—and into action. IBM maintains sites throughout the world where we monitor supply chain movements. For instance, in 2015, Hurricane Patricia picked up steam so quickly it left the Mexican coastline unprepared. We used The Weather Company data, along with a Watson API, to predict where and when the storm would hit our Guadalajara facility. We then held products in Miami and delivered them the next day. We continued production and client shipments with minimal interruptions.